JPRC070 - Coco Disc in natural white color. JPRC071 - Coco Disc in natural brown color. JPRC072 - Coco Ring in natural white color. 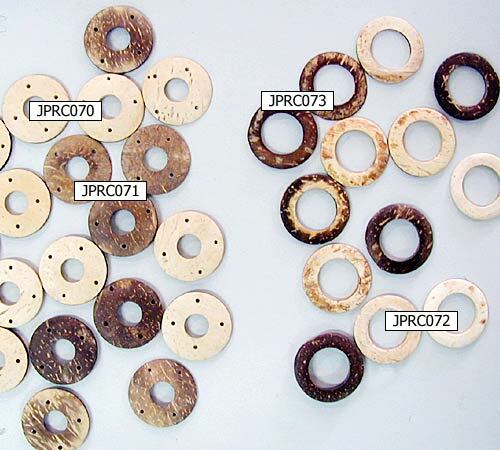 JPRC073 - Coco Ring in natural brown color.